Makeup removal plays an essential part in protecting your skin against daily aggressions. One-step cleansers allow for the cleansing and purifying of your skin while even removing very resistant and waterproof makeup. In the blink of an eye, this makeup remover dissolves all the skin’s impurities and dead cells. Your skin’s natural and original radiance is revealed. Apply every day, morning and evening without rinsing for a purified skin in a single action. 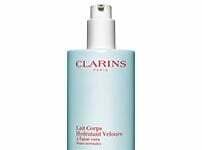 Within the range of cleansers and toners you will find a makeup removal lotion. One-step cleansers make your skin peach-soft, smooth and clean every day.